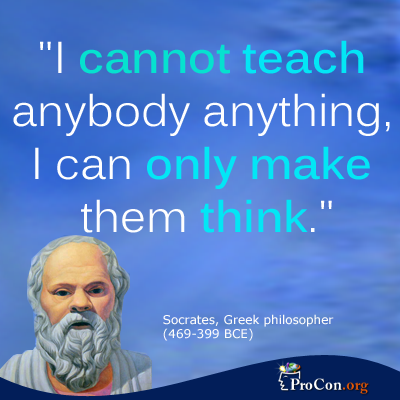 The philosopher Socrates was greatly interested in knowledge. The Socratic method is all about determining whether or not a claim is true. But, in his day, he was often compared to the Sophists. The Sophists weren’t so much interested in truth as they were in arguing persuasively. 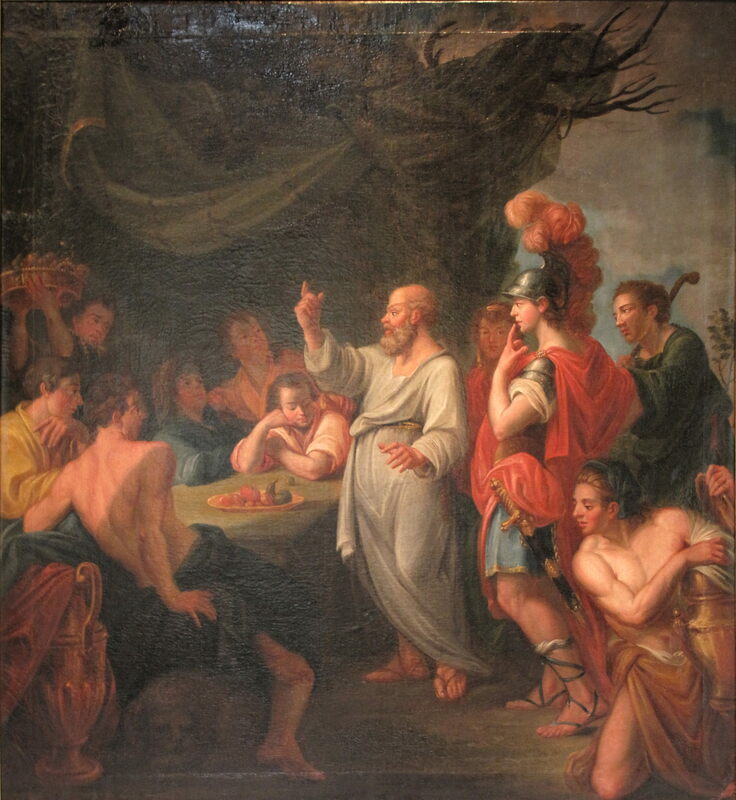 One of Plato’s many writings on Socrates involved a debate he had with a man named Gorgias, who was a popular orator known for teaching others how to be persuasive. This work has gotten me thinking about persuasiveness and truth. Personally, I care more about what is true than what is persuasive, but it seems as though a lot of people aren’t so interested in truth and are more concerned about whether a claim is persuasive. I’ll begin this post by discussing the idea that truth can’t be refuted. What does this mean? Well, to refute something is to show it is untrue. If something is true, then it cannot be shown to be untrue, so it cannot be refuted. But a lot of people confuse refuting with rebutting. To argue that something is untrue is not to refute it, it is to rebut it. Arguing against something is not the same as showing it to be untrue. You can show something to be untrue while arguing against it, but, more often than not, arguing against something is not meant to refute it, it is meant to persuade others to disagree with it. This says nothing about truth, but it is a very important point to keep in mind. Truth matters, and, if you care about truth, it is important to think about the arguments you are given carefully. It is important to consider whether they are convincing because they are true, or if they are simply convincing because the speaker is persuasive. But when do you know you’ve got the truth? According to Socrates, you will know because the truth will survive any attempted rebuttal. 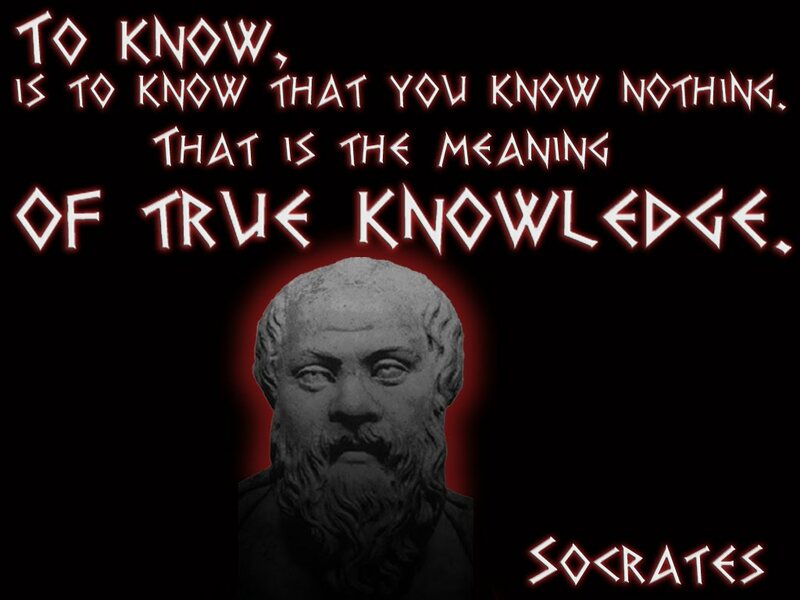 This is why he uses the Socratic method as he does, and why he is so against the Sophists. I strongly disagree with this idea. Liars are often more persuasive than those who speak truthfully. If this weren’t the case, then scam artists wouldn’t be able to steal so much money. And we wouldn’t have to worry about the spread of misinformation. But both of those things are major concerns. It would be a lot easier to hold only true beliefs if it were impossible to rebut true claims. So now we have the issue of belief versus truth. All the true things that we believe are beliefs, but not everything we believe is true. Everybody holds at least one false belief. After all, we don’t have access to all the knowledge of the world, and it is impossible to be completely unbiased. So how do we know the difference? That’s not an easy question to answer. We can never know for certain whether a belief we hold is true or not, but we can be pretty sure. This is why I often speak about evidence: you cannot be pretty sure without evidence. It is the evidence that gives us the ability to be pretty sure that our beliefs are true. But can you force someone to believe something? We believe something is true when we are persuaded, but persuasion is a type of force. What do I mean by this? Well, it is rare that we come to believe something without anyone persuading us (other than ourselves). We usually come to hold beliefs because they were taught to us. This way of coming to a belief may not be physically painful, and it may not seem forceful, but it is still a type of force. This is because we are not really given a choice about these beliefs. As small children, we are given a number of our beliefs in school. We are never told that what we are taught might not be true, and we are taught to view our teachers as the authority, so it is rare to find a child willing to question what they are told in school. We do not view these beliefs as a choice. In this sense, these beliefs were forced on us. As adults, we often continue to hold these beliefs. Is this a bad thing? To a large extent, the things we are taught in grade school are wrong, and our teachers are often unaware of what is wrong and how wrong it is. But we are taught things inaccurately often because we need to learn things in phases. We can’t understand quantum physics as kids, so we learn less accurate versions of physics that eventually give us the building blocks we need to understand (kind of) quantum physics. So I don’t see how it is a bad thing. However, as Gorgias points out, these forced beliefs can be a bad thing, because we can be persuaded to believe something that is untrue (in its purest form) very easily. So how do we keep ourselves from being convinced of things that aren’t true (to the greatest degree possible)? I feel as though Descartes says it best: “But the indifference I feel when there is no reason pushing me in one direction rather that another is the lowest grade of freedom; it is evidence not of any perfection of freedom, but rather of a defect in knowledge or a kind of negation. For if I always saw clearly what was true and good, I should never have to deliberate about the right judgement or choice; in that case, although I should be wholly free, it would be impossible for me ever to be in a state of indifference.” What does this mean? It means you should care. If you care about what is true, and if you think deeply about what you’re told, using reason and evidence, then, while you may not always be right, you will at least be more likely to hold true beliefs than false ones. I, obviously, don’t agree with Descartes about everything, and I don’t think he was willing to go deep enough in his meditations, since he was never willing to put aside all of his assumptions, but on this point I agree with him. One should never be indifferent where the truth is concerned, and one should never be willing to accept what they are told without thinking critically about it. I find the Socratic method very useful when discussing belief, and I enjoy reading the work of Plato. However, I believe that Socrates is mistaken about truth being impossible to rebut. People are persuasive, and we can be good liars, so this cannot be the case. But there are ways to avoid being taken in with falsehoods. With any luck, we can hold more true beliefs than false beliefs, even if we can’t avoid holding some false beliefs. I am listening to the debate between Matt Dillahunty and Sye Ten Bruggencate. This debate is the perfect example of why I don’t really like debates. The debate started off with Sye straw-manning Matt. It was very obvious that Sye didn’t want to allow Matt to respond. He wanted to use videos of things that Matt had said in the past in order to predict what Matt would say and thus shut him up on stage. That is incredibly dishonest and rude. Matt did a better job of sticking to the rules of engagement, but he was clearly impatient. He talked very fast and sounded annoyed. I can’t say as I blame him, but tone carries a lot of meaning to those who are listening. The most brilliant part of the debate was Matt’s rebuttal. Matt wrote his rebuttal ahead of time and was able to predict exactly what Sye was going to say in the debate. It was brilliant because it made a great point. While I believe that Matt did a great job in the debate, I do not believe that it was a useful exercise. The people who were watching were obviously either on Matt’s side or Sye’s. You can determine this because of who would clap for who. And, since people will clap just to be polite, you can also tell based on the laughing and the whispered comment. You can tell when someone thought that a persons comment was ridiculous because they’d laugh at something clearly meant to be taken seriously. I have no doubt that some of the people there were on the fence. But what were they to take away from the event? Sye was insulting and went out of his way to attack his opponent. Matt sounded annoyed. Neither one seemed to really respect the other. If we could ignore emotion and take their words at face value, then it would be possible to support one over the other. But keeping emotion in mind, how can someone who doesn’t already support one person over the other determine who they support? This isn’t to say that a debate doesn’t have a time and a place. Even getting annoyed, I enjoyed the debate. But these debates show me that debates aren’t enough. We aren’t going to convince many of the fence-sitters with debates. I never would have been convinced with a debate. Today I listened to a debate about the millennials. A number of ideas were brought up, some I agreed with and some I didn’t. One debater kept referring to the boomers as “the greatest generation.” How are they the greatest? What have they done that is so much better than any other generation? I don’t ask this because I think that my generation is better. I ask this because I don’t think that any generation is significantly better than any other. One debater brought up how long we live with our parents as a sign of immaturity. But housing prices have risen significantly more than wages have. It seems obvious that it would take longer to be able to afford to move out. And more people are going to university now than did in the past. University is expensive, so living at home is an obvious choice. Personally, I moved out when I was 22 and I was happy to get out on my own. I didn’t want to live at home for so long, but I only moved out because I couldn’t get my degree in the city I lived in. That same debater also claimed that our generation is more narcissistic than previous generations. One of the people he was debating argued that the millennials volunteer more than previous generations so are actually more giving. Are millennials more giving or more narcissistic? Or neither? The other debater claimed that millennials don’t have any noticeable traits that will help us in the future. She argued that we’re not significantly better with technology than generations X and Y and will be replaced with machines thus making finding a job impossible. How true is this? The final debater argued that our generation is an entrepreneurial generation. We are starting businesses and creating jobs on a larger scale than any previous scale. Is this accurate? What do you think of these claims? Do you agree or disagree with them? What are the advantages and disadvantages of being a millennial?